More couples than ever before are choosing to say their vows surrounded by the stunning vista and vineyards of Osoyoos – and for good reason! Osoyoos’ polished venues and professional event service providers are experienced in executing everything from intimate gatherings to grand celebrations. Stylish and well-appointed, the numerous resorts and facilities offer premier amenities and delectable local culinary creations to honour your wedding wishes. The unique climate in Osoyoos, set in Canada’s only desert offer our country’s hottest, driest weather, meaning you’re almost guaranteed amazing weather for your wedding day promises. If your hearts are set on an outdoor wedding, you will find endless possibilities for a striking backdrop. A beautiful beach. A verdant vineyard. Lush orchards. The dramatic desert. Here in Osoyoos, everything is more beautiful and yet surprisingly more affordable than larger centres. Not only are the venues costs lower but the facilities are made for large events and weddings so you’ll spend less on decor and catering. Now that’s one big wedding day wish coming true! 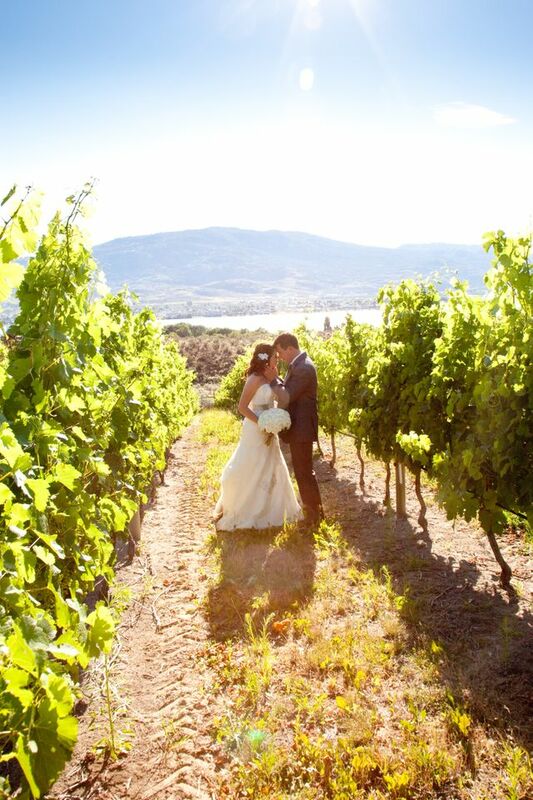 Osoyoos is a pleasurable wedding destination for guests, too, as there is so much to experience and enjoy. Your wedding party, friends and family will thank you for choosing a remarkable and distinctive wedding destination that doubles as the perfect vacation getaway. Within easy travelling distance from centres such as Vancouver and Calgary, guests can stay and play before and after the wedding weekend with golfing on championship courses, wine tasting at award-winning wineries, swimming in the warm waters of Osoyoos Lake, learning about desert ecology at a world-class interpretive centre, hiking and exploring adventures, and trying out the hottest new sport, stand up paddling! Osoyoos is pleased to offer your guests a wide array of accommodations to meet all budget and personal preferences – a must for a wedding weekend. Transportation and tours are available, too, which is key to making travel convenient and pleasurable for guests of all ages. With the express shuttle running from the Kelowna and Penticton airports to Osoyoos, it’s never been easier for guests to travel. What about all the wedding details? The secret is out – Osoyoos is emerging one of Canada’s hottest and most romantic wedding destinations. Our lovely little town has attracted some very talented wedding service suppliers who really understand weddings and will help you make your day a true reflection of your own personal style. Vendors offering wedding services will listen to your ideas and help you realize your wedding day vision. Who are they? Wedding planners, florists, caterers, décor specialists, event rental firms, photographers and more – all committed to making arrangements perfectly seamless so the bride and groom can fully experience the joy and happiness of their wedding day. Please provide the details of your request and we will get back to you as soon as possible. 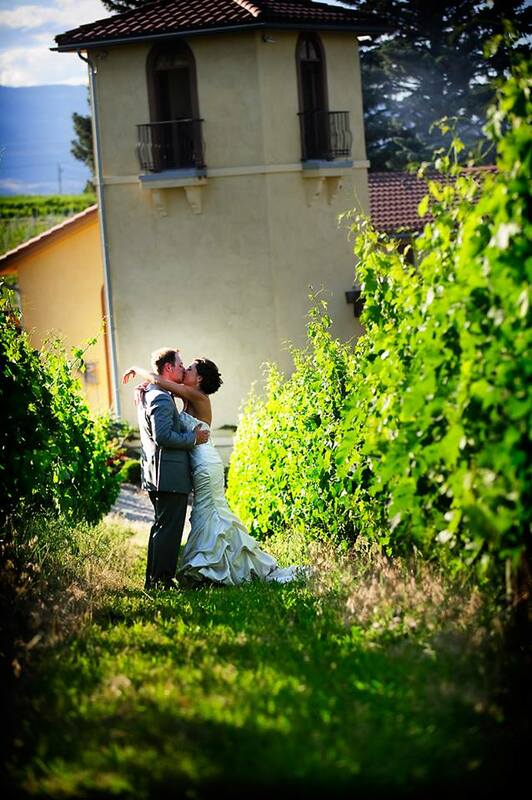 By entering your information in the above form, you agree to be contacted by Osoyoos Wedding Venues with more information on hosting your wedding in Osoyoos. Contest ends on November 8th.